Please call us to discuss your building needs, some details of the work we carry out are detailed below but to discuss your specific needs we look forward to receiving your call. A contradiction, I know, but David Ling and his builders were not professional in what they did. We have been left to rectify their many errors! We chose our building contractor with great care but were heavily reliant on the accolade of him being a Which? Trusted Trader. 50% over budget with a 3 month time over run. What a big mistake! It is hard to summarise all that went wrong. Poor leadership and weak management of the project and a reluctance to employ skilled and qualified people were at the heart of the problems. Much of the plumbing was done by a general builder who had no plumbing qualifications. Very basic mistakes occurred as a consequence, including numerous leaks, albeit that they were the least of our plumbing problems! Poorly finished woodwork, plasterwork, floor levelling and decoration were common on this project. We terminated the contract in exasperation. Not a single room was finished! David Ling was very good at giving us false reassurances but failed to deliver what we specifically requested. Invoices lacked detail and were often incorrect so continual checks had to be made of the bills and the standard of work. Estimates for extra work were never provided, despite being specifically requested. Nine months on we are still paying other tradesmen to rectify and complete our newly renovated home. Two storey rear extension to an Edwardian semi-detached house. 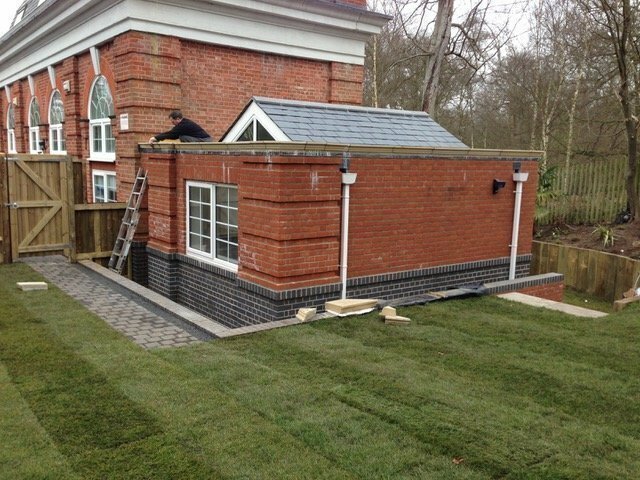 The build was undertaken to our Architect's design and Berkshire Design and Build carried out the full management and construction. They were an excellent company to work with and always very transparent on costs and impact of any changes as we progressed. We were able to make decisions quickly with the team and ended up with a quality build that we are very happy with. 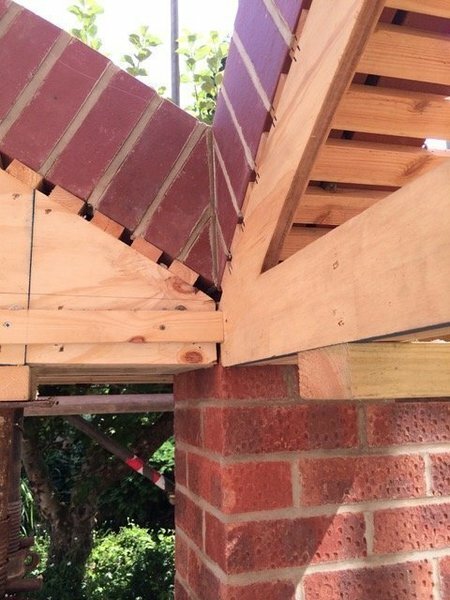 As with all building projects there are challenges to overcome as the build progresses and the team were always quick to respond with solutions and a can do attitude. I would have no problem recommending them to friends and indeed I have done so. Dave and his team built a kitchen extension on the back of our property. Dave was very knowledgeable and helpful through from the design process all the way until build completion. He kept in regular communication and came in on budget and on time. The crew who he organised were friendly and polite, worked hard and to a very good standard. We are very happy with the end result. 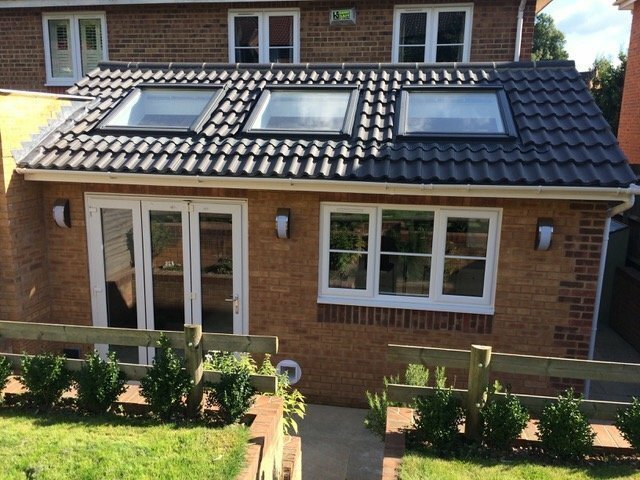 After having quotes from 4 other companies we decided to book Dave from Berkshire Design and Build to build our front extension and 2 storey side extension. 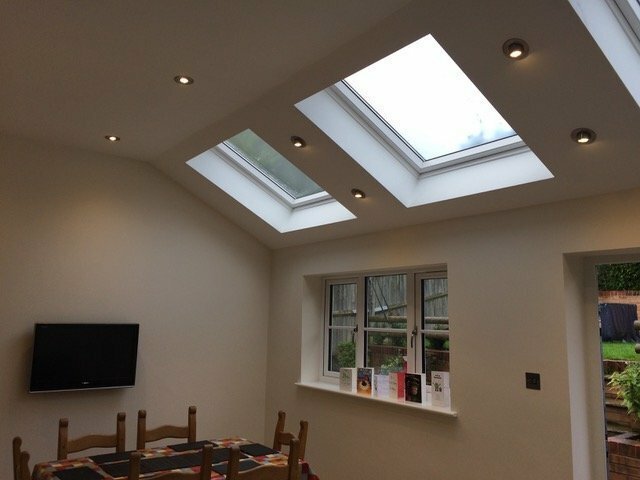 His price wasn't the cheapest or the most expensive and his references were very pleased with the work they'd had done so we felt confident he would do a good job and was charging a fair price. The side extension consisted of a large kitchen family room downstairs with 2 rooms and a bathroom upstairs and a new hallway and front porch linking the original house with the new extension. We found Dave to be honest and fair. Many people told us that builders never stick to the budget and we should expect to pay more, however this was not the case. Dave stuck to his original quote and came in on budget. During the build we made some changes to the original specification, which we expected to pay extra for, however Dave did not charge extra for these. The delivery of our kitchen also caused some delays, which meant the carpenter had to be with us longer than expected and again Dave did not charge extra for his time. Dave visited our house daily to check on progress and deal with any queries. 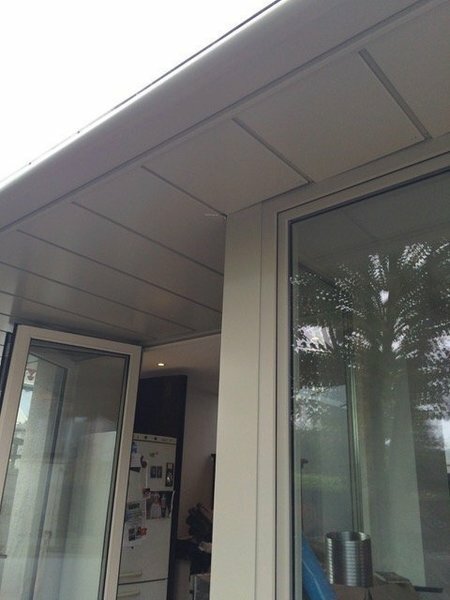 He was excellent at giving us ideas for our extension based on his vast experience and he was always easy to contact. 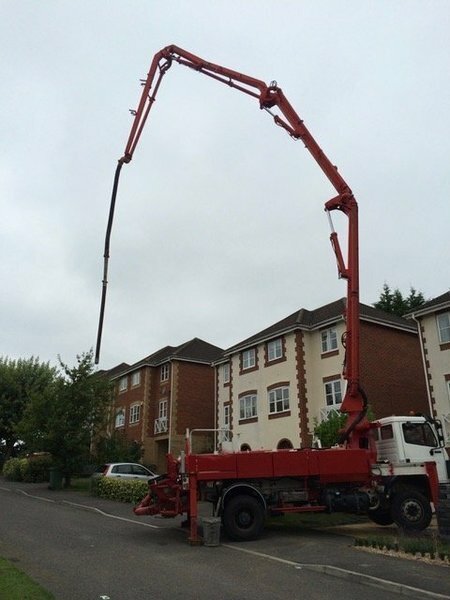 Dave has a wonderful team of polite, friendly, trustworthy and experienced workmen. They were also very clean and tidy. They did a wonderful job, we are extremely pleased with the end result and we would certainly recommend them. 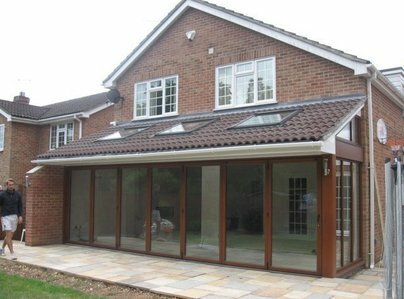 Berkshire Design built an extension across the whole width of our house, with large bi-fold doors. 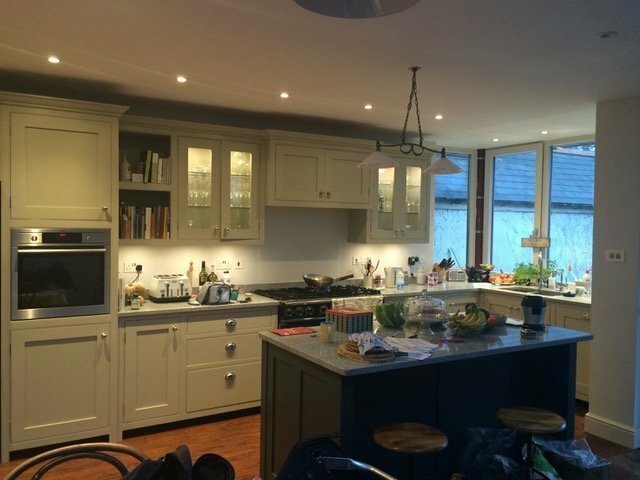 They were involved in all stages of planning and building on a tricky sloping site, and once the extension was built, they advised on and fitted a beautiful kitchen. 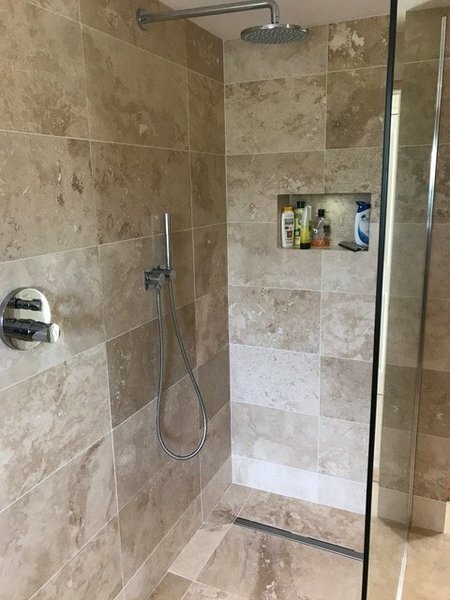 They were professional, trustworthy, hard-working and friendly throughout, and left the site spotless through the build. We have since moved house and will be asking them to do some work on our new property. Our previous property had six viewings and three offers; everyone commented on the kitchen diner, and our estate agent was adamant that's what sold the house. Very happy with this trader. 2nd floor extension that involved 2 beds inc en - suite and a family bathroom. I am a Chartered Surveyor and Project Managed the Conversion of a house and stable block into 7 flats in Reading. I found the company efficient, cost effective and workmanship was good.